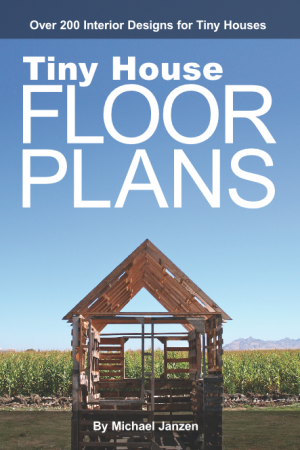 See more of the Fallbrook Tiny House at Tiny House Swoon. 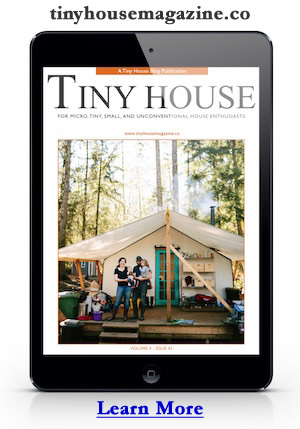 Learn more about this tiny house at Tiny House Vacations. This entry was posted in Tiny House and tagged california, Fallbrook, san diego, tiny house, Tiny House Swoon, Tiny House Vacations. A nice design that shares an all too common design flaw – that space robbing in-swinging entry door. To reach “perfection” one of the cardinal rules of tiny house design is to discard all of the inappropriate standards of conventional house design. #1 on that check list is to use out-swinging entry doors. An out-swinging door on this unit would be especially appropriate because the unit actually has a covered entry and an exterior wall for the door to swing against and even include a hold-open catch to hold the door open. Just think how nice it would be to have a simple piece of door hardware to hold the door open for increased ventilation or when moving items in and out of the unit. Think “tiny-smart” for better living. I would like information regarding the tiny houses in San Diego County area for me & or with land. Is there any info on Tiny house communities in San Diego ( tiny houses with land to rent or buy) in North County? Looking in to tiny houses to put on small lot in country.